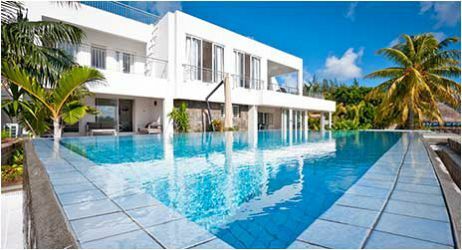 Mauritius Attractions would be happy to recommend you on large selection of holiday villas all across Mauritius for you to enjoy a perfect vacation in Mauritius in your ideal holiday villa. 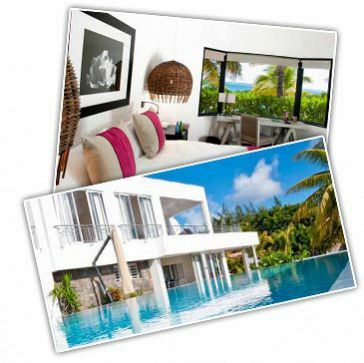 Why to choose Villa Accommodation? Whether as a family, a single, or a couple, when you rent one of our holiday houses, holiday villas, or beach houses you will always be sure to enjoy comfort, style, luxury and private atmosphere during your holiday in Mauritius. Size matters – It is possible to find much bigger private Holiday villas than any hotel’s room / suit. Most private villas can easily accommodate 8 people and in many cases even more, while most hotels’ rooms are usually limited to a maximum of 4 people. Privacy – the villa is privately yours to enjoy in maximum privacy together with your friends, family and loved ones. You will not be sharing the property with anyone else. Homey feeling - holiday villas come fully equipped with all of the amenities that you have at home (or even more) and they offer more homey feelings. All villas come complete with linens, bath and beach towels, as well as with all the kitchen utensils. Many villas even include books, DVD’s, videos and games. Spacious, comfortable and well equipped for everyday needs, the villas accommodation offers a multitude of opportunities and benefits. It is great for all occasions, from big group gatherings, to an intimate honeymoon getaway. All the recommended villas in our portfolios have to meet strict guidelines to qualify for our portfolio, and they are personally chosen and inspected by us. From intimate beach properties to larger holiday homes and mansions, all our villas have been handpicked for their location, views, facilities, comfort, style and character. Whether you prefer a Mauritius villa accommodation in the north of the island with its bustling city of Grand Baie and its turquoise emerald lagoons, to explore the wilderness of the South West of Mauritius with its dramatic mountain and canyons, a golfing trip to Anahita on the East coast, or any other villa anywhere in Mauritius, we are here to assist you in finding the most suitable villa for your accommodation in Mauritius. Mauritius Attractions dedicated team of senior travel consultants will help you find the suitable villa for you in all the best area of Mauritius, no matter whether you would like to spend your holidays in the North, South, East or West of the island. In case you weren’t able to find a suitable accommodation on our website, or if you are not sure what type of accommodation would most suit you, do no hesitate to contact us. Our team would be happy to assist and discuss your personal accommodation preferences, and to find the most suitable villa for your Mauritius holiday.